Brian W Aldiss died at his home in Oxford, England on Saturday morning at the age of 92. Aldiss was a pioneering giant of the field, who continued to publish throughout his life. His Supertoys stories were adapted by Steven Spielberg as the movie AI, and his Hellconia trilogy is a classic of the field. I met Aldiss twice: once briefly when he was getting a lifetime achievement award from the Science Fiction Writers of America -- and gave a monumentally entertaining account of his life in the field and his military service -- and again at a conference in Nantes, France, where he and his wife Margaret Manson were an absolute delight. A friend and drinking companion of Kingsley Amis and correspondent with C.S. Lewis and J.R.R. Tolkien, Aldiss was a founding member of the Groucho Club in London and a judge on the 1981 Booker Prize. Awarded the Hugo Award for Science Fiction in 1962 and the Nebula Award in 1965, Aldiss's writings were well received by the critics and earned a strong following in the United States and in Britain as well as being widely translated into foreign languages. In later years his cultured world view and enduring curiosity found expression in the novels Harm and The Finches of Mars, dealing with the contradictions of the war against terror and the logistical difficulties of accommodating different terrestrial belief systems in space. 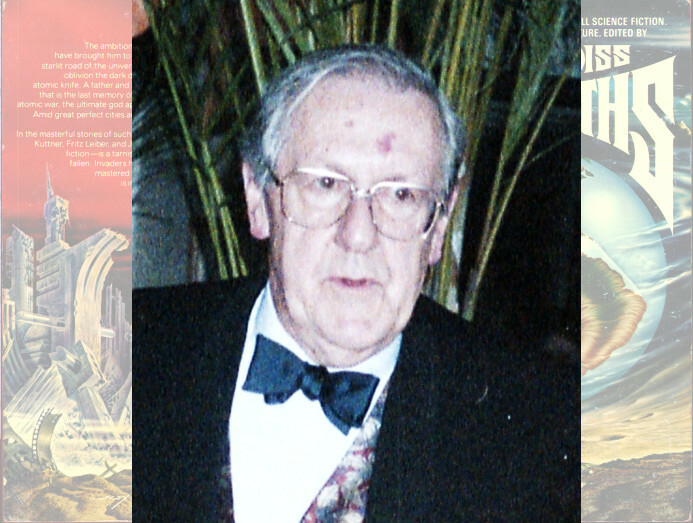 Announcement of the death of Brian Aldiss O.B.E.